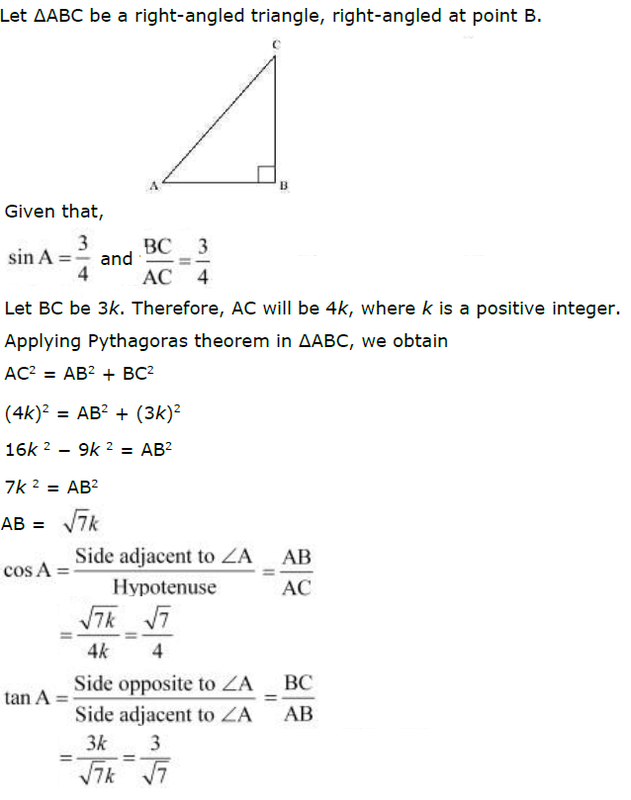 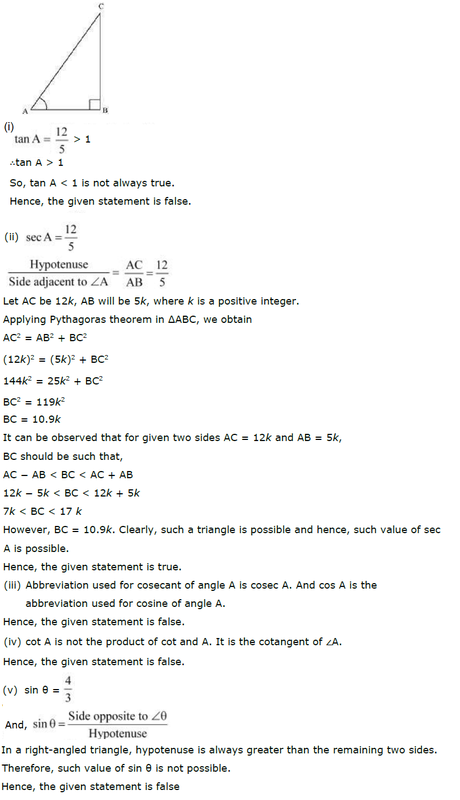 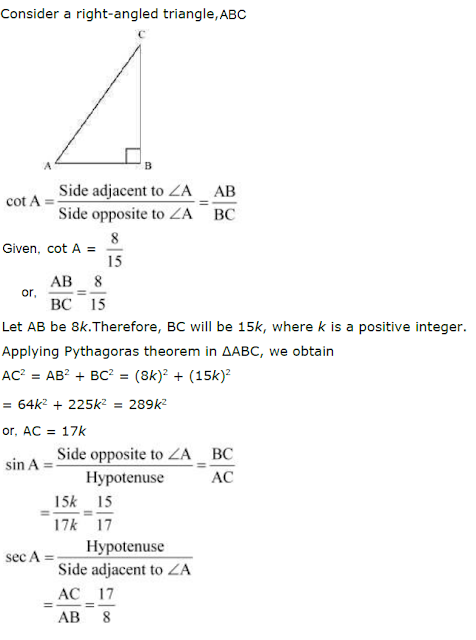 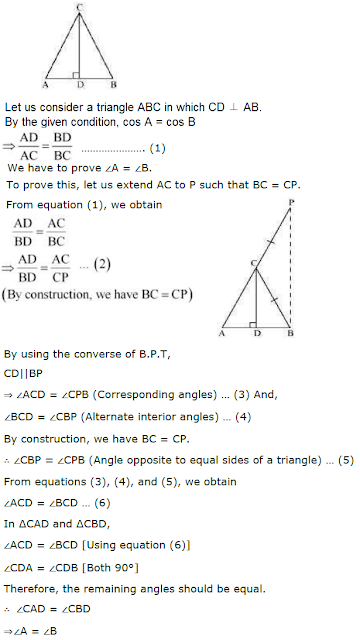 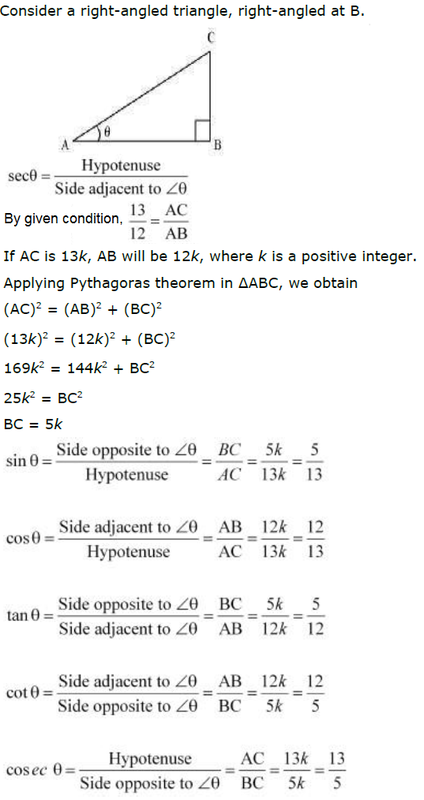 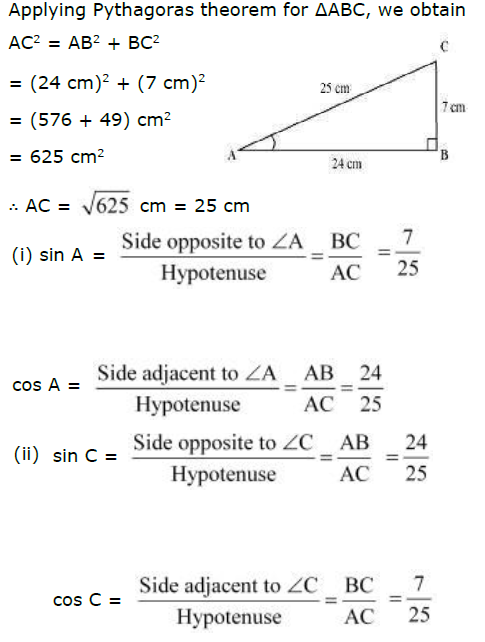 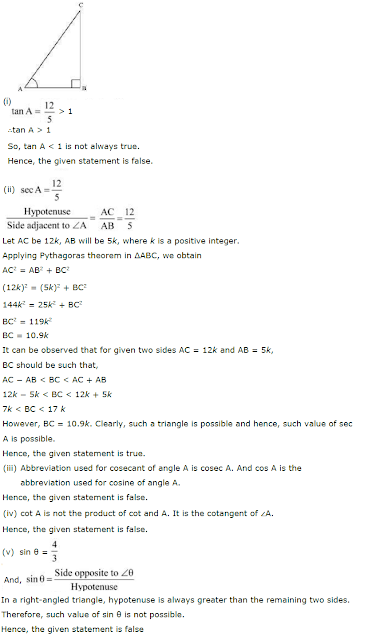 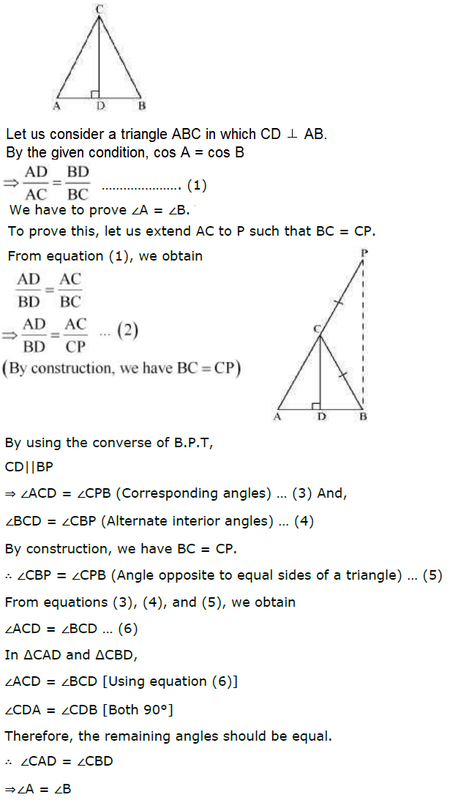 Question 1: In Δ ABC right angled at B, AB = 24 cm, BC = 7 m.
Question 6: If ∠A and ∠B are acute angles such that cos A = cos B, then show that ∠A = ∠B. Solution: Taking help from the above solution, try yourself. 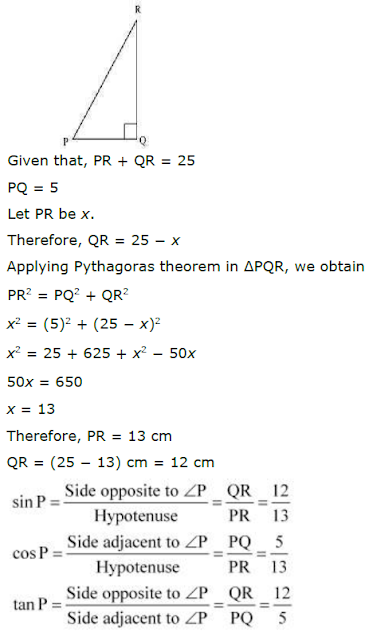 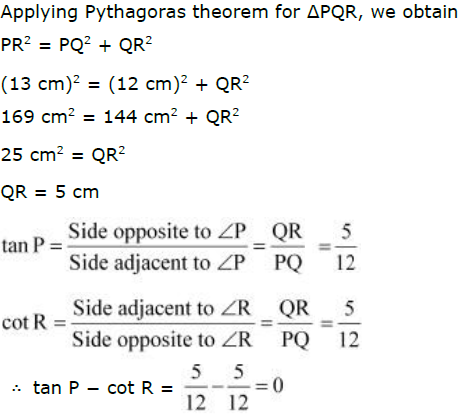 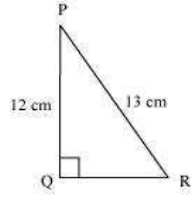 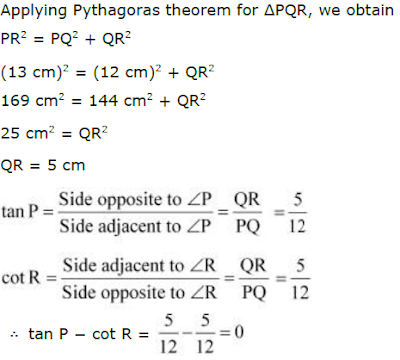 Question 10: In ΔPQR, right angled at Q, PR + QR = 25 cm and PQ = 5 cm. Determine the values of sin P, cos P and tan P.